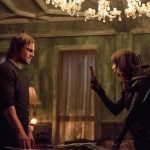 A la fin de l’épisode 5×10 de Arrow, on découvre les premières images de Talia al Ghul et Tina Boland (la nouvelle Black Canary ? ), on en découvre un peu plus sur ces deux futurs personnages féminins à débarquer dans la série dans la galeries de photos du 5×11. 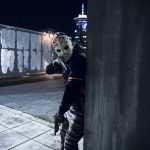 Après la bande annonce, je vous propose donc sans plus attendre de découvrir les photos promos du 5×11 qui est intitulé « Second Chances » et qui sera diffusé le mercredi 1er février sur la CW. 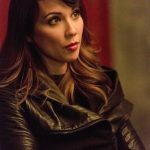 Arrow — « Second Chances » — Image AR511a_0457b.jpg — Pictured: Lexa Doig as Talia al Ghul — Photo: Michael Courtney/The CW — ÃÂ© 2017 The CW Network, LLC. All Rights Reserved. Arrow — « Second Chances » — Image AR511a_0167b.jpg — Pictured (L-R): Stephen Amell as Oliver Queen and Lexa Doig as Talia al Ghul — Photo: Michael Courtney/The CW — ÃÂ© 2017 The CW Network, LLC. All Rights Reserved. Arrow — « Second Chances » — Image AR511a_0279b.jpg — Pictured (L-R): Lexa Doig as Talia al Ghul and Stephen Amell as Oliver Queen — Photo: Michael Courtney/The CW — ÃÂ© 2017 The CW Network, LLC. All Rights Reserved. 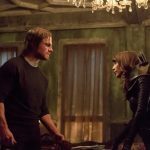 Arrow — « Second Chances » — Image AR511a_0159b.jpg — Pictured (L-R): Stephen Amell as Oliver Queen and Lexa Doig as Talia al Ghul — Photo: Michael Courtney/The CW — ÃÂ© 2017 The CW Network, LLC. All Rights Reserved. 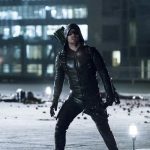 Arrow — « Second Chances » — Image AR511b_0228b.jpg — Pictured: Stephen Amell as Green Arrow — Photo: Katie Yu/The CW — ÃÂ© 2017 The CW Network, LLC. All Rights Reserved. 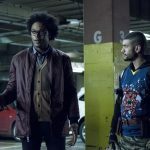 Arrow — « Second Chances » — Image AR511b_0177b.jpg — Pictured (L-R): Echo Kellum as Curtis Holt and Rick Gonzales as Rene Ramirez/Wild Dog — Photo: Katie Yu/The CW — ÃÂ© 2017 The CW Network, LLC. All Rights Reserved. 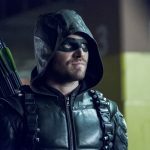 Arrow — « Second Chances » — Image AR511b_0306b.jpg — Pictured: Stephen Amell as Green Arrow — Photo: Katie Yu/The CW — ÃÂ© 2017 The CW Network, LLC. All Rights Reserved. 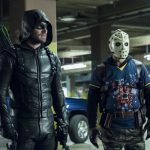 Arrow — « Second Chances » — Image AR511b_0199b.jpg — Pictured (L-R): Stephen Amell as Green Arrow and Rick Gonzales as Rene Ramirez/Wild Dog — Photo: Katie Yu/The CW — ÃÂ© 2017 The CW Network, LLC. All Rights Reserved. 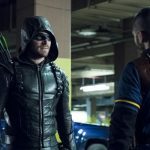 Arrow — « Second Chances » — Image AR511b_0198b.jpg — Pictured (L-R): Stephen Amell as Green Arrow and Rick Gonzales as Rene Ramirez/Wild Dog — Photo: Katie Yu/The CW — ÃÂ© 2017 The CW Network, LLC. All Rights Reserved. 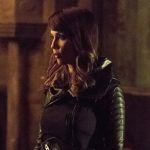 Arrow — « Second Chances » — Image AR511a_0596b.jpg — Pictured: Lexa Doig as Talia al Ghul — Photo: Michael Courtney/The CW — ÃÂ© 2017 The CW Network, LLC. All Rights Reserved. Arrow — « Second Chances » — Image AR511b_0007b.jpg — Pictured (L-R): Juliana Harkavy as Tina Boland and Stephen Amell as Oliver Queen — Photo: Katie Yu/The CW — ÃÂ© 2017 The CW Network, LLC. All Rights Reserved. Arrow — « Second Chances » — Image AR511b_0053b.jpg — Pictured (L-R): Juliana Harkavy as Tina Boland and Stephen Amell as Oliver Queen — Photo: Katie Yu/The CW — ÃÂ© 2017 The CW Network, LLC. All Rights Reserved. 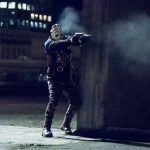 Arrow — « Second Chances » — Image AR511b_0390b.jpg — Pictured: Rick Gonzales as Rene Ramirez/Wild Dog — Photo: Katie Yu/The CW — ÃÂ© 2017 The CW Network, LLC. All Rights Reserved. 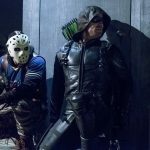 Arrow — « Second Chances » — Image AR511b_0401b.jpg — Pictured (L-R): Rick Gonzales as Rene Ramirez/Wild Dog and Stephen Amell as Green Arrow — Photo: Katie Yu/The CW — ÃÂ© 2017 The CW Network, LLC. All Rights Reserved. Arrow — « Second Chances » — Image AR511b_0371b.jpg — Pictured: Rick Gonzales as Rene Ramirez/Wild Dog — Photo: Katie Yu/The CW — ÃÂ© 2017 The CW Network, LLC. All Rights Reserved.